Happy New Year, and I wish you much Career Success in the coming year! This is my first podcast for 2019 and I’m thrilled to say that, thanks to all of you, my listeners, this is my fourth year of podcasting! I hope you had a fantastic Christmas new year and I’m very excited to kickstart 2019 with you and I want to say thank you to all of you for following me. Before I launch into my new career tips for 2019. I have some exciting news and special offers for you. If you want to attract to career opportunities or secure that job promotion in 2019, join my Masterclass (it’s free!) – The 3 Secrets to Personal Branding for Career Success. It’s only 40 minutes long and in it I share valuable secrets on personal branding and how to attract what you deserve in your career. Sign up for the next masterclass at www.janejacksoncoach.com/3secrets. Now, secondly, even more exciting news. I’m thrilled to have been invited to be on a panel of 20 career experts at the Follow Your Dream Summit that starts on the 14th January until the 4th February. It’s free to register for this virtual summit. During it you will gain incredible insights from 20 career experts (and me!) on how to ensure career success by boosting your Mindset, Identifying your Goals and learning what you need to do to Pursue your Passion. Thirdly, there’s even more exciting news and this is where I need your help… Your Career Podcast, is up for the Australian Podcast Awards and I’m delighted as I was also awarded top 50 career podcast by Mac’s list in the US in 2017 and 2018 plus I was honored to be named top 20 career podcast globally by Feedspot in 2018. Okay. So let’s set your intentions for career success in 2019. Because we’re into the new year now and you know what? I don’t know if this happens to you, but usually the first month of any new year sees so many of us making New Year’s resolutions. Did you make yours? There’s usually a huge annual pilgrimage back to the gym. On the 5th January I headed off to the gym with great intentions of getting back into dance and aerobic fitness because, as you know, years ago I was a fitness instructor.As the years have gone by, I have lost that fitness level but I really miss dancing, so I entered a Sh’Bam class which was so much fun and it felt great, but I couldn’t walk the next day as I overdid it. After many years of marathon running and high impact aerobics and plenty of overuse, I realize that I can’t do this now. I need to take it easy and set a realistic fitness goal. So my fitness goal is to power walk for 20 to 30 minutes every morning instead, and so far, so good because I don’t have any injuries from that. Now what about you? I hope your fitness goals are going well for the year, but you know, when it comes to resolutions I find they tend to fall by the wayside quite quickly. And so what I’d rather do and I think might be helpful for you to is to focus on INTENTIONS instead. So have you thought about your intentions for 2019? As you now, I’m a career coach and I work one on one with career transition clients to guide them towards career success, and I also deliver a number of career management and career transition group workshops, plus LinkedIn training in a corporate environment. I’m happy to say that setting career goals as a firm trend every time a new year arrives, and research has found that 45 percent of us will be investing in upskilling this year for career success. And 37 percent plan to be more outspoken and take control of their ambitions at work. And 16 percent of us are committed to expanding upon our professional network. So is this what you’re planning as well? I’d like to suggest three intentions to help you progress in your career this year. What do you think? So let’s. Let’s start with intention number one. Intention Number One is your learning potential is your earning potential. According to research by Goodhabitz, the biggest career trend tip for 2019 is personal development. However only 10 percent of organizations globally are taking on full scale projects, what does this mean for you? It means that if your organization isn’t able to provide you with the training that you really want, you have to take matters into your own hands. If you want to get stuff done, really the person to rely on is you. Okay? So how are you going to get stuff done? You need to take control of your own education. Do you want support to take control of your career? I think most of you probably do. The Career Academy Online is a free membership site where you will gain access to career resources and training your personal and professional development. It’s free to join. Intention Number Two. Banish self limiting beliefs and trust yourself. You know that self limiting belief that sits on your shoulder telling you, oh, you can’t do it, or you don’t have the experience. Oh, you’re too young or you’re too old. You know all of that. Let’s get rid of it. High self esteem and confidence is a key component of your success, so whether you are a man or a woman, a dip in your competence level can have dramatic effects on how you’re perceived out there in the marketplace and what you achieve at work. Now I’m on a mission to help you to grow your belief in your ability to handle life’s little and big challenges by assisting you to become resilient. I’ve gone through so many tough things in life and some of you may already know that, you know, over over three year period I went through just about every one of life’s major challenges and stressors, including a country move, a divorce, financial concerns, having to find another job all around the same time period and my stress level was so high that I honestly didn’t know how I would be able to handle it, but I learned to develop resilience. Despite the knock backs that I experienced, I thought, no, I’m not going to let it beat me. We’ve all, we all experienced knockbacks, and I’ve had plenty in my life but it’s how we deal with those setbacks that form our character, setbacks are character building and every setback, look at it as an opportunity to develop resilience. To help you bounce back you can explore an online program that I’ve created for you called How to Build Confidence in The Careers Academy Online. Intention Number Three is to build your network because it is your net worth. The people you know, the tribe you build around you who lift you up, are the people will help you to be successful in your career, and when people hear the word network, I know that word ‘networking’ causes many of my clients to to cringe, but only initially. Networking is, and this is important to remember: building genuine relationships. It’s not selling, it’s not pitching. It’s the opportunity to get to know another person. Remember how good it feels to make a new friend. Do you remember the last time you made a new friend? You must develop mutual trust and respect for each other – that always takes a bit of time, doesn’t it? And then, and only then, may career and business opportunities arise out of that relationship. You know, we like to deal with people that we know, like, and trust. So when you’re networking, just thinking about making a friend, making a connection, see if there’s a bit of synergy between you. The primary focus when you’re networking is to get to know the other person, the real person behind the facade of being a professional, ‘a very important person’, right? We’re all genuine human beings, so why not? Let’s get to know each other. Human being to human being. We all have the same worries, the same concerns. We all have self limiting beliefs. I know I certainly have them, but over the years, having developed resilience, if my self limiting beliefs start to rear their ugly heads, I just say stop it and get on with stuff. I read this book by Mel Robbins. I can highly recommend it. It’s called The 5 Second Rule. Anytime you’re feeling a little worried about something and you think, oh, I’m going to be talking myself out of this very quickly, use the five second rule, go: five, four, three, two, one, and DO IT! You know, like five, four, three, two, one, blast off. But if I say to myself, five, four, three, two, one, and leap out of bed, it’s more likely that I’m going to get that power walk over and done with. So far it’s working. So let’s think about what we’re going to do when it comes to networking. Just want to tell you about #LinkedInLocalSydney events. They’re so popular. I’ve been co hosting them with the lovely Jillian Bullock for over a year now. We hold them every month and at our events you can be the star of the show. However, the focus is on making authentic connections and a warm and friendly environment. We always tell people no schmoozing. No selling, no pitching, just come make some friends. So if you want to know when the next events are on, follow me on Linkedin because I always post when the next ones are on. We’ve got one on the 30th of January and then after that there’ll be one on the 26th February. Expanding your network online. It’s a wonderful thing, isn’t it? Linkedin’s great. And then taking those online connections offline is what solidifies the relationship. So combining both is the perfect way to fulfill the third intention, which is your network is your net worth and you’re going to expand your net network this year. I’d love to hear how you so so post a comment and tell me how you’re going with it. Just a reminder about my Group Mastermind Sessions which will be held once a month. So anyone who registers to join the mastermind can send me their questions in advance and I’ll answer them during our mastermind session. They are on every second Monday of each month from 8:00 to 9:00 PM. I’m excited for our inaugural group mastermind. So why not join me next time and find out how I can support your personal development intentions. If you’re a careers academy member, you get huge discounts on my coaching sessions and a massive discount on the group mastermind coaching sessions too, so hop over to www.thecareersacademy.online – it’s free to join. Love to see you there! Let’s make 2019 a happy, healthy, and successful year. I want it to be a joyous one for you! Coming up next in my next episodes will be interviews with Bernard Kassab, a marketing specialist with an interesting career journey, and the very inspirational Victoria Rose. She’s a live streaming video specialist and there’s plenty to learn from her so I can’t wait for you to listen in to what we discuss! And so until next time, stay happy, stay healthy. And may 2019 be a wonderful year for you. 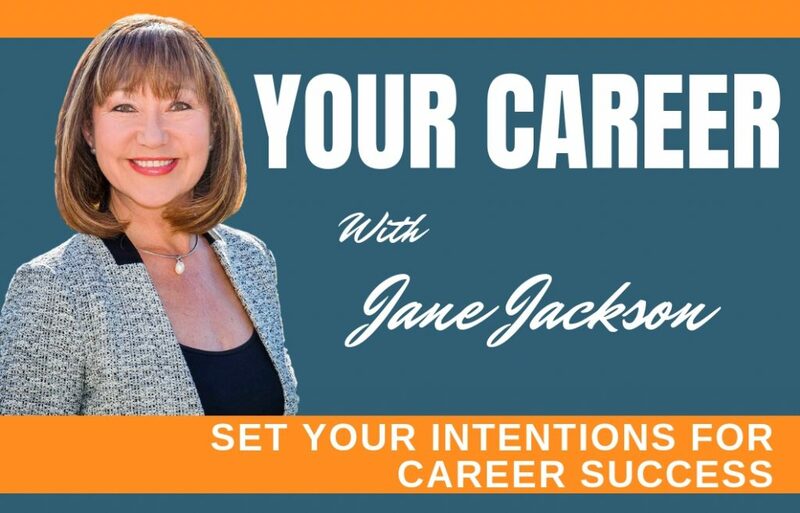 If you enjoyed this podcast, look for your career podcast on iTunes and leave a review and for all the career management support you need to create your dream career. Visit www.janejacksoncoach.com. Isn’t it time you found your dream job? I actually have a childhood friend whose passion and a goal is to be a professional and international player on an online game. Finally this year 2019, he was recruited by a Malaysian international team for the online game and can support his family needs. I know that setting your career in an online game is risky but as long as you have the passion and guts for it, you will surely be successful someday. That’s an interesting direction. I am not familiar with international online gaming – it does sound very risky, rather like gambling? What I tend to focus on are activities that you have more control over however, I expect you could consider your friend a sportsperson much like a chess player, or tennis player or golfer.